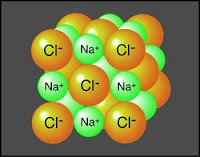 Sodium chloride, or common table salt, is critical in the culinary arts for enhancing flavor. At low concentrations levels though, salt will reduce bitterness and increase the sweet, sour and umami. However, at higher concentrations salt will suppress sweetness and enhance umami (or the "savory" flavor). Thus moderation is key to maintaining the perfect balance. Numerous foods can benefit from a pinch of salt. The umami flavors in tomatoes are noticeably enhanced with a cautious tilt of the salt shaker (or a strip of bacon). A sparing pinch can even take the edge off of a cup of bad coffee. The quintessentially Canadian coffee chain Tim Horton's is known to add a pinch of salt to their coffee as well. So why not beer? Enter beer salts. 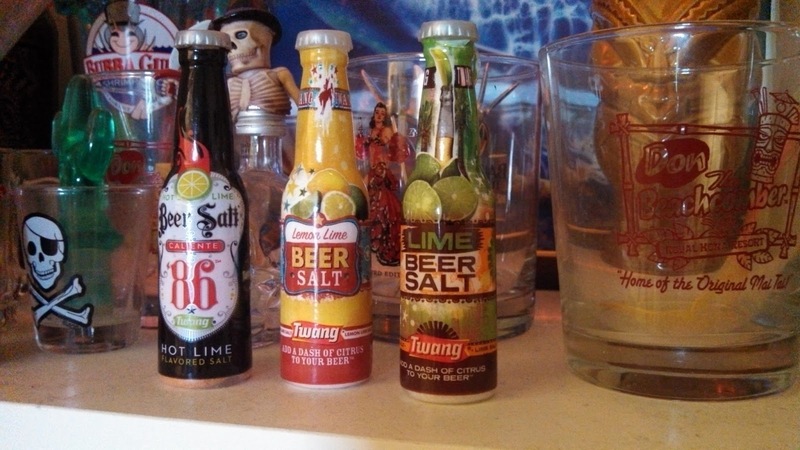 The Twang brand of Beersalts are specifically marketed for people looking to enhance their cheap, unflavorful beers. They not only include, but also include citric acid and natural flavors of lemon, lime, and cayenne. These not only add refreshment, but mask any off-flavor in the beer caused by too much sun exposure. Lemon-lime beer salt, designed for Mexican and American lagers and pilsners. Lime beer salt, designed to emulate the tradition of adding lime to Corona. 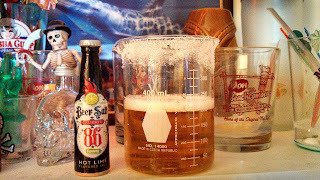 Caliente 86 Hot Lime beer salt, developed in celebration of Twang's 25th anniversary. Now, take this information with a grain of salt. While I highly recommend trying these salts with Lucky or your buck-a-can beer of choice. If you're drinking a high quality craft beer, don't bother. You may ruin your fifteen dollar 750ml ale by adding too much. All three flavors of Twang Beersalt can be found in various places across the border to the south. However, there's no need to go all the way to the United States to pick these up. You can easily imitate the flavor with simple ingredients from your kitchen. Try tossing a pinch of salt into your beer, along with a slice of lime. Add a sparing shake of cayenne for extra kick. Or drink your beer with some salty snacks instead. There's a reason beer, not wine, is drunk with nachos and pretzels. Beer and salt have always been, and always will be, best friends.